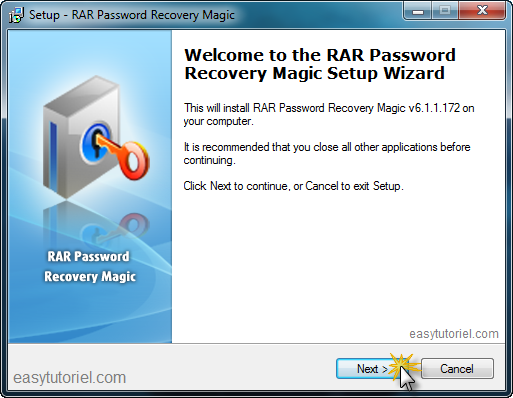 Home » cracker » data » password » rar password recovery » Recovery » repair » Windows 7 » How to find the password of a protected RAR / ZIP archive! 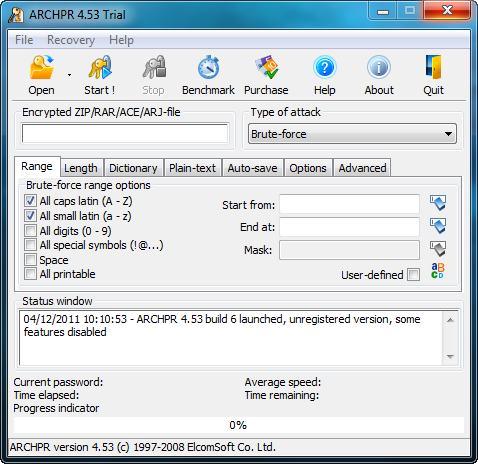 How to find the password of a protected RAR / ZIP archive! 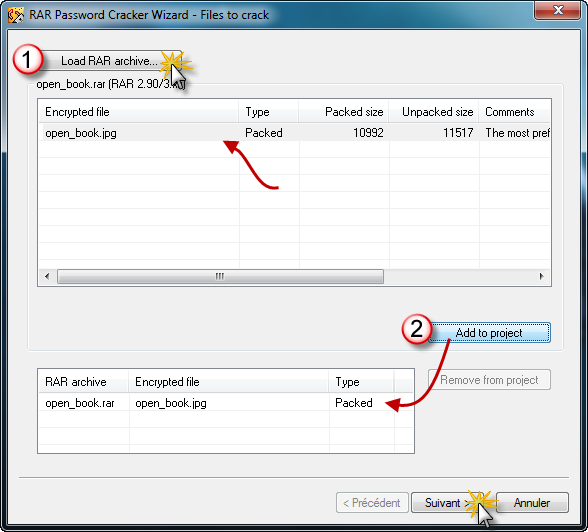 Today, you will discover more than 5 solutions to recover or crack the password of a Winrar archive, without breaking the head. 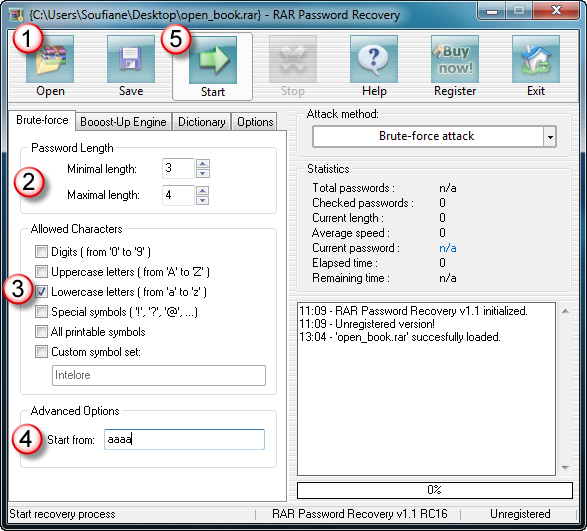 Then in the second part you will discover the 4 best software to recover the password via several techniques, all these software are tested. 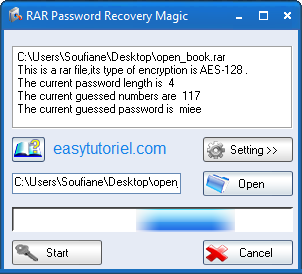 NB: This tutorial applies to all files that the Winrar software can open, including the .rar and .zip files! Let's go! 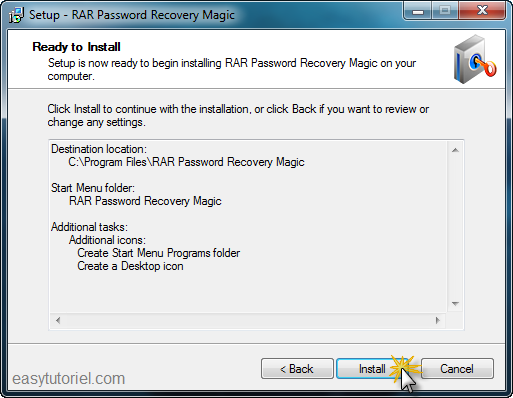 Recovering the password from a Winrar file is not instantaneous, it may take several minutes, say several hours! And it depends of course on the configuration of your PC, the complicity of the password ... and your intelligence! 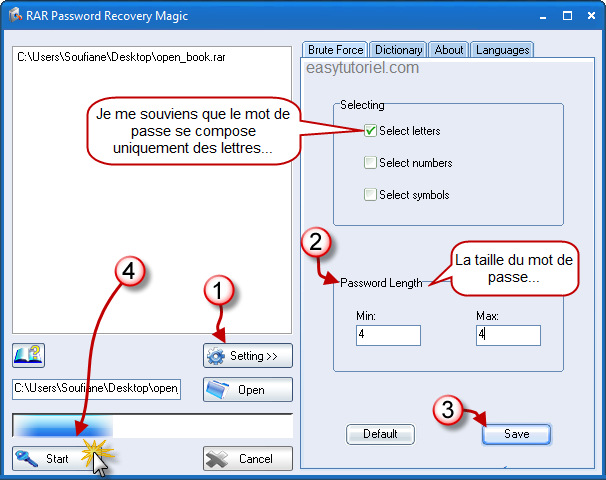 If the password contains a mixture of numbers, lowercase letters and other uppercase letters, this will certainly make password recovery more difficult! For example, the password "123321" can be recognized by the utilities in a few minutes, while a password like "r! Pfd.bl0g§pot" is almost impossible to retrieve it, so It is necessary to proceed by another method! 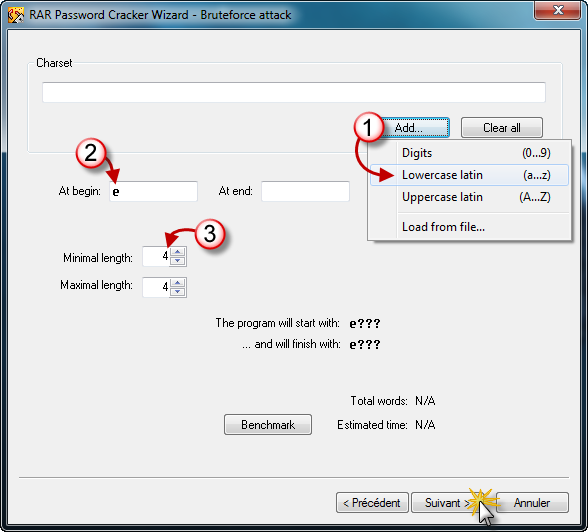 Let's start with the easiest method to find the password of a protected! Method 1: The password is right next door! Do not use the right mouse button to extract the compressed file, but open it by double-clicking! Read the comments, if it's a link, open it and look for the item where there is the compressed file, you need to find the password right next to it. Googlez!It may be that the file you just downloaded is in one or more forums, and therefore it is quite likely that the password is provided with the download link of the latter. 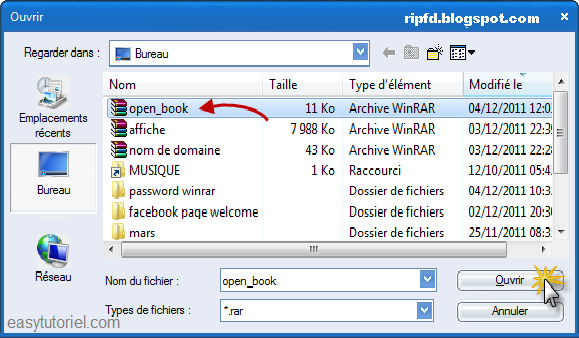 Copy the name of your Winrar file (example: ripfd.rar) and put it in the Google search engine. If you are unable to find the password for the first search result, look in other search results! 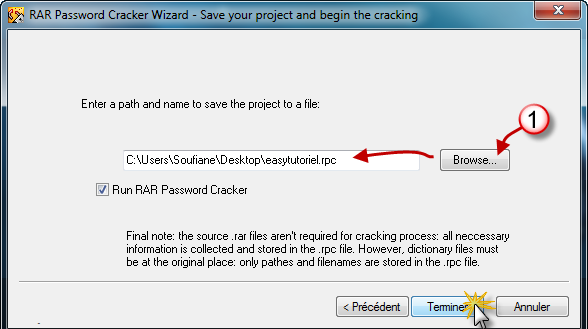 Method 2: Crack the password of a Winrar file using utilities. And that's why I put this software first, it's really worth it! 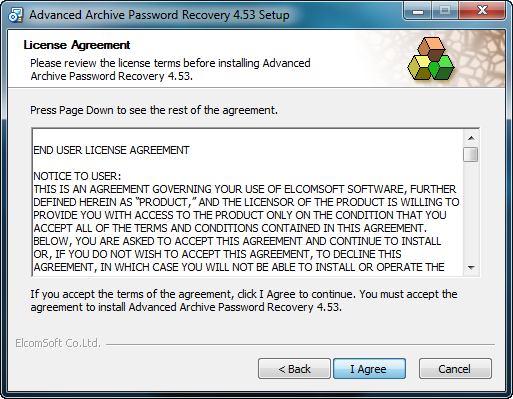 Accept the terms of the license by clicking on "I Agree". Then, as usual ... click Next 2 times. After installation click Finish. Your program is installed! 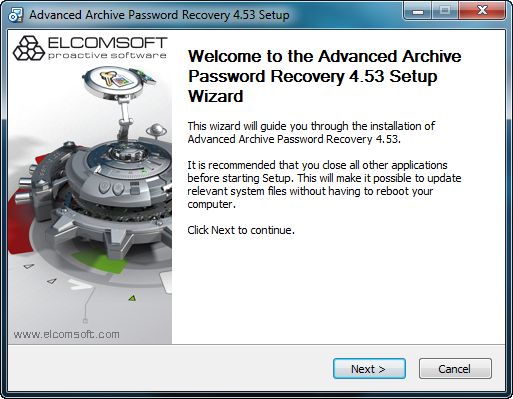 Double-click the shortcut in your desktop to launch the Advanced Archive Password Recovery. Click "Open" to open the protected archive. Enjoy your time, leave your computer and go do something else during the search for the password (for example: cram coffee, do sports, ...). 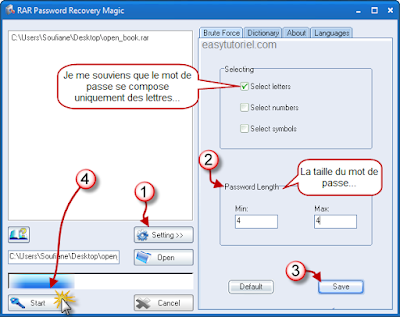 Here is a very powerful software, uses brute force or dictionary to recover your password! To start the program, simply click on the shortcut on your desktop. 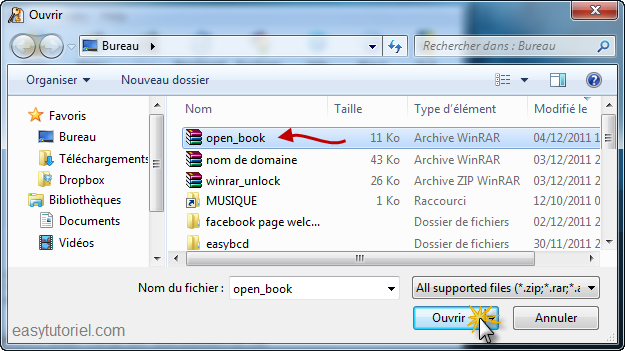 Click on "Open"
As described below to import your Winrar file: choose your compressed file and click "Open" to import it. 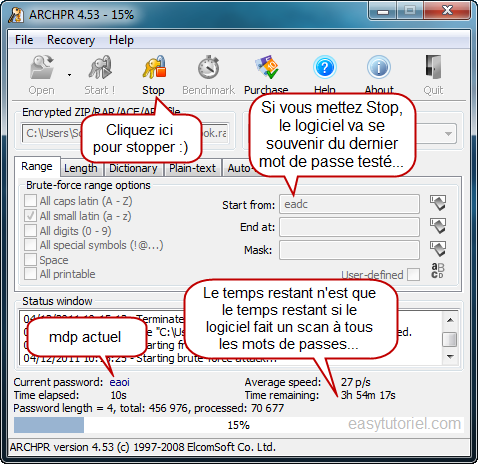 You can download it using this link: http://ripfd.blogspot.com/2017/03/telecharger-rar-password-cracker-pour.html Install it! Use :After double-clicking on the shortcut in your desktop, a window like this will appear ...Click Next ... Oops, this time, click Next! 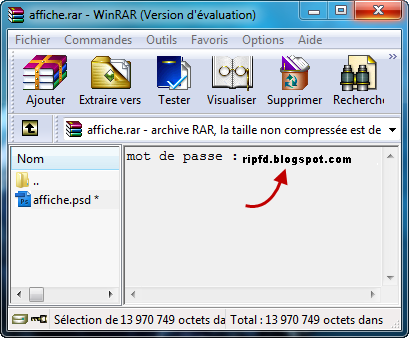 Click "Load RAR archive ..." and import your Winrar file by clicking Open after selecting it.Then select the contents of your Winrar file, and click the "Add to project" button.Click Next. 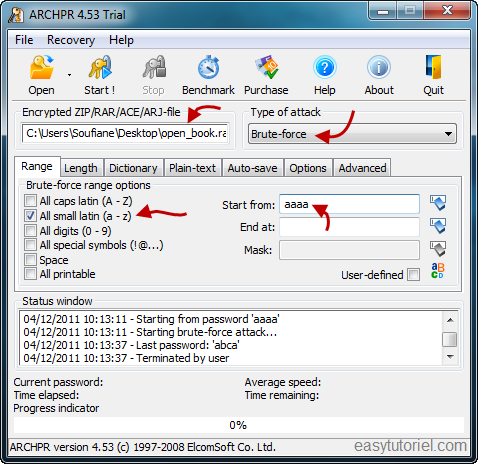 Select the "Bruteforce attack" as the method and click Next. Save the project file in case you stop the procedure, you can continue the search at any time without resuming the zero search. Click Finish to start the attack. Or go out a bit of the sport, because it can take several hours! And here is the password, copy it and have fun! Conclusion: Retrieving the password you typed yourself has become easier by using the utilities listed above, the same for a file downloaded from the Internet. 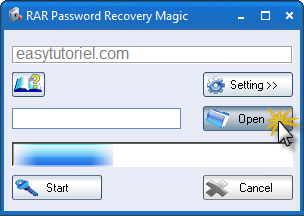 And so, you can use this tutorial to recover most of your passwords! There you go ! I think this tutorial has served you for the recovery of your important files, located in the protected archive. 2 Responses to "How to find the password of a protected RAR / ZIP archive!" I'm impressed by your work on the post. I convinced by you article You've posted. Thanks a bunch!